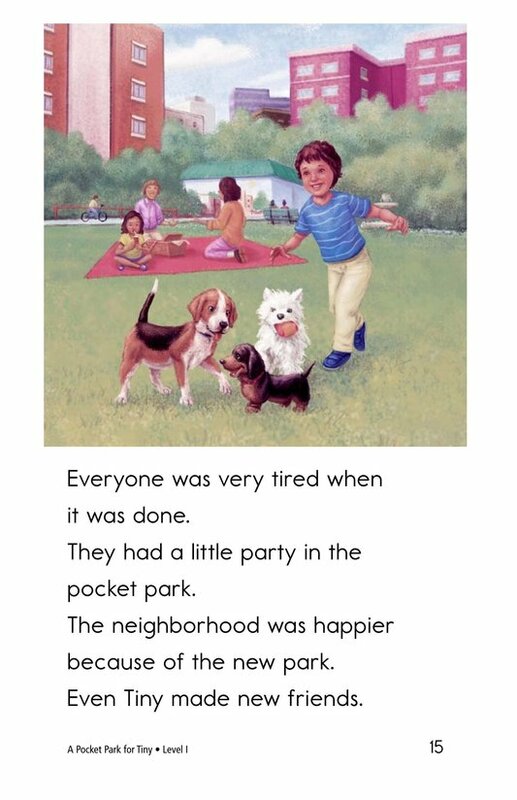 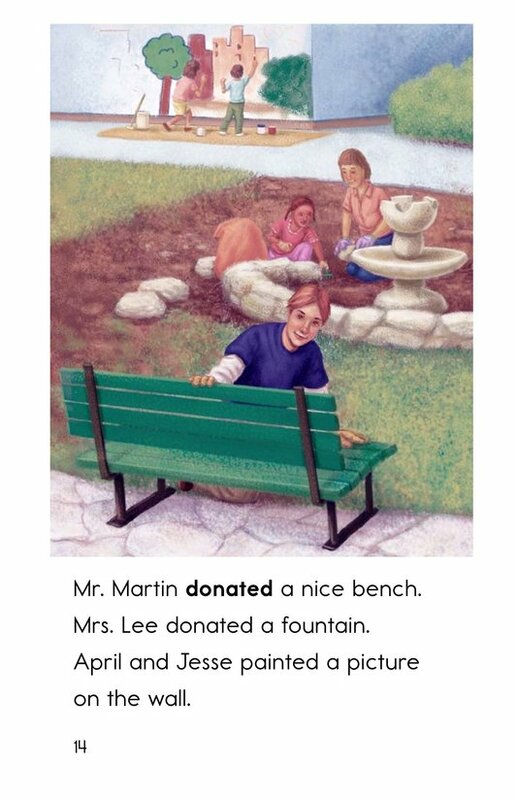 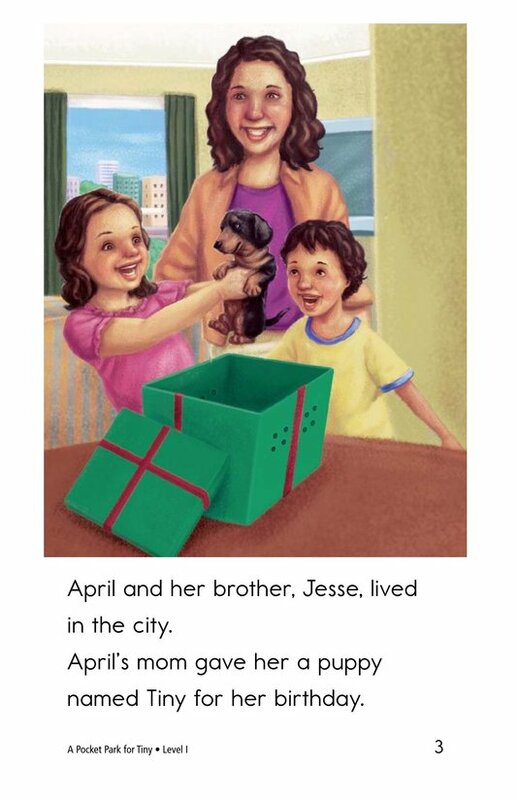 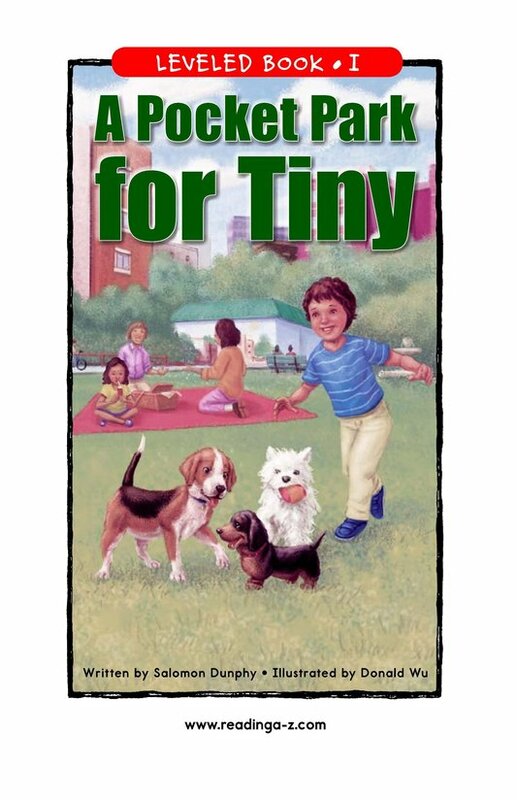 In A Pocket Park for Tiny, April receives a puppy as a birthday present. 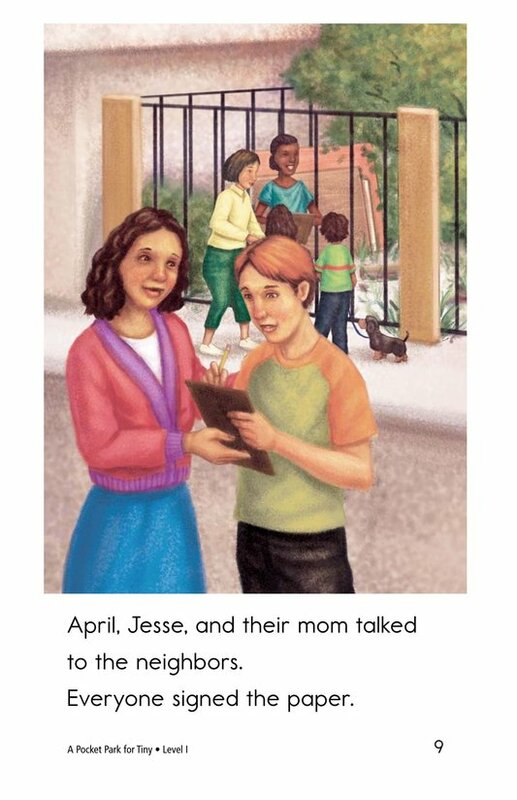 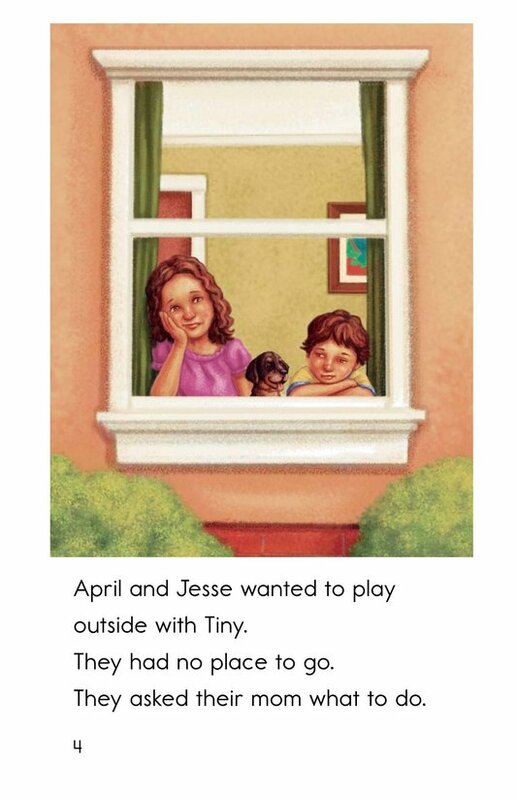 April and her brother Jesse love their dog but are sad that he has no place to run and play. 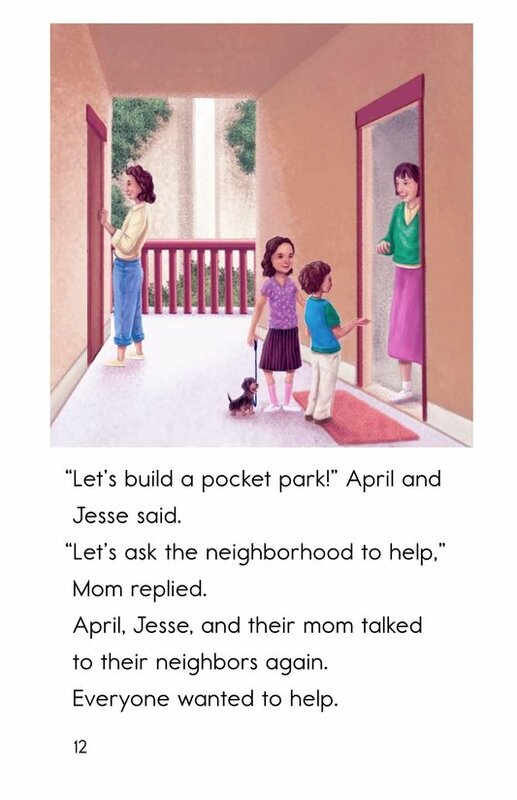 Their mom suggests they turn the empty lot in their neighborhood into a pocket park. 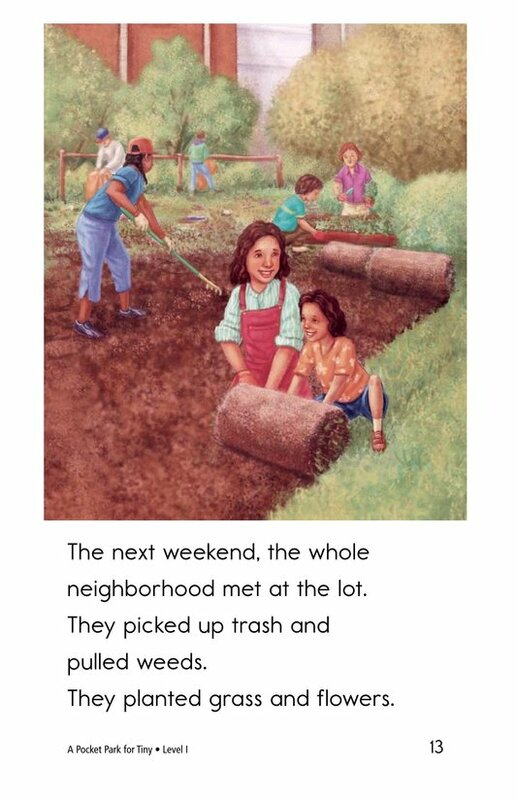 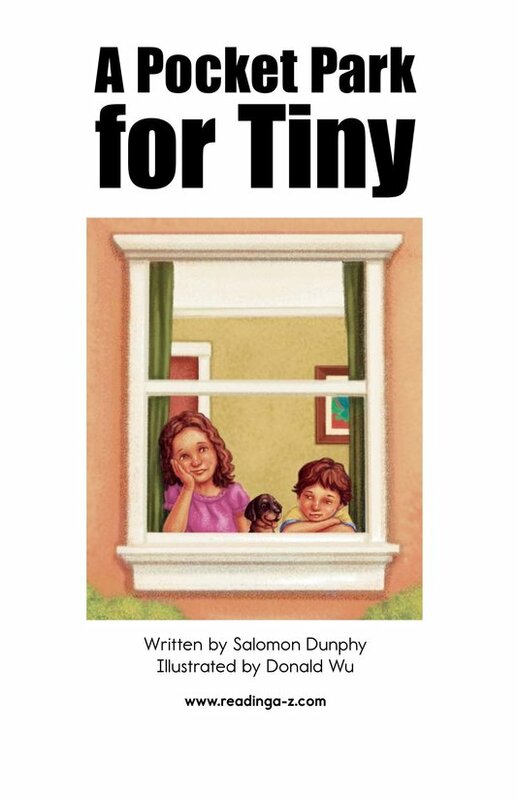 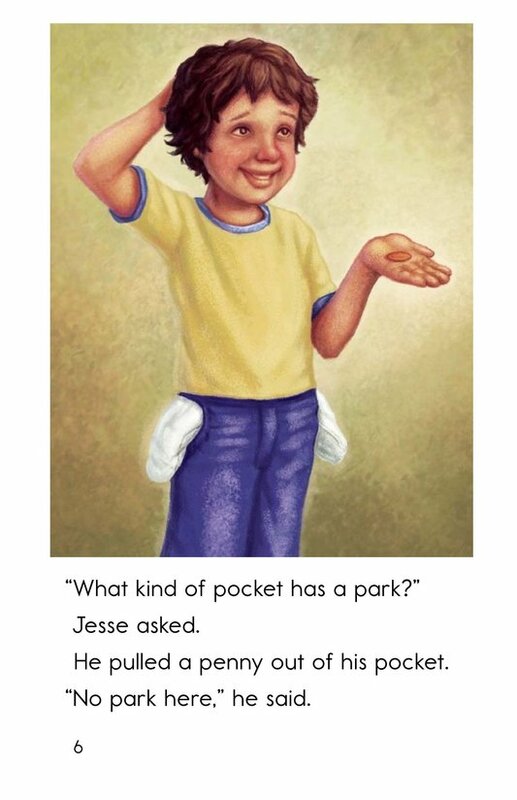 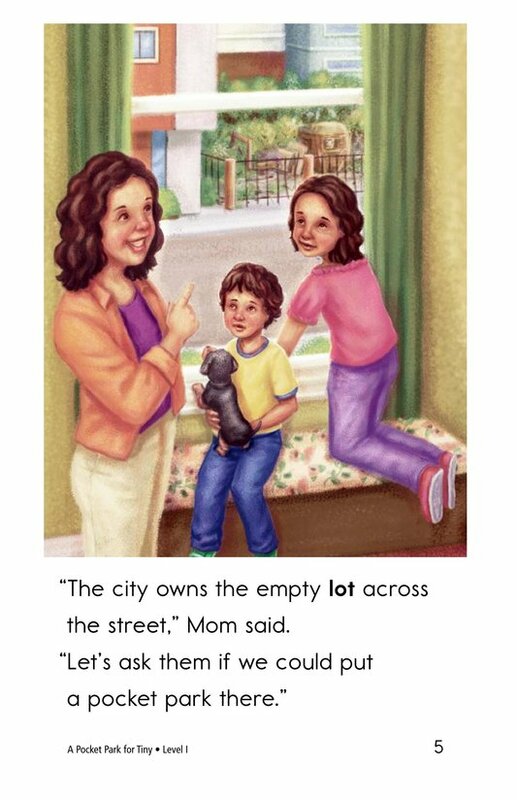 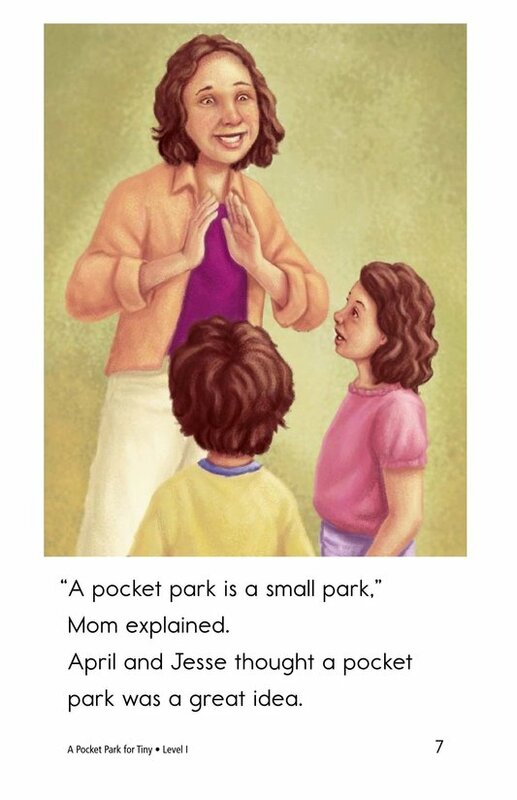 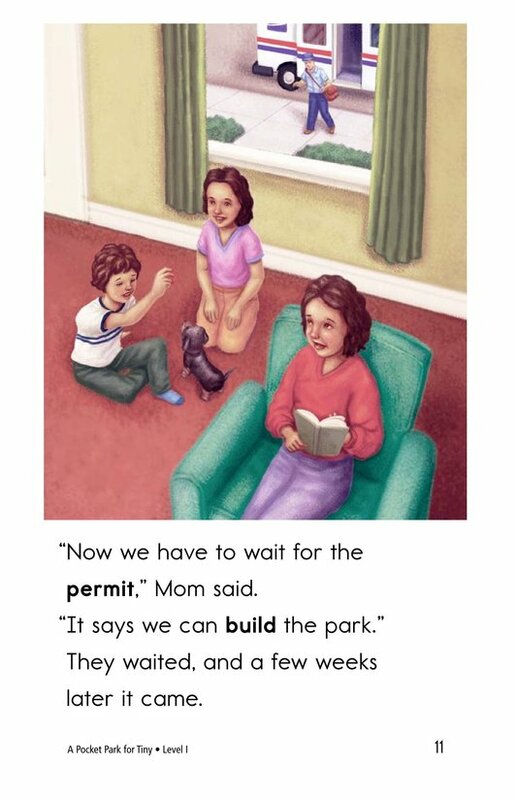 Early emergent readers will discover how the children gain permission for the pocket park and then cooperate with neighbors to turn their dream to reality. 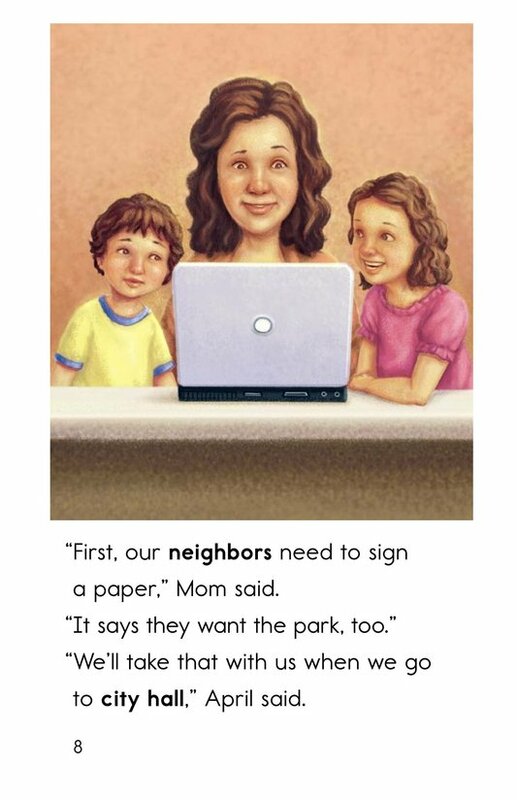 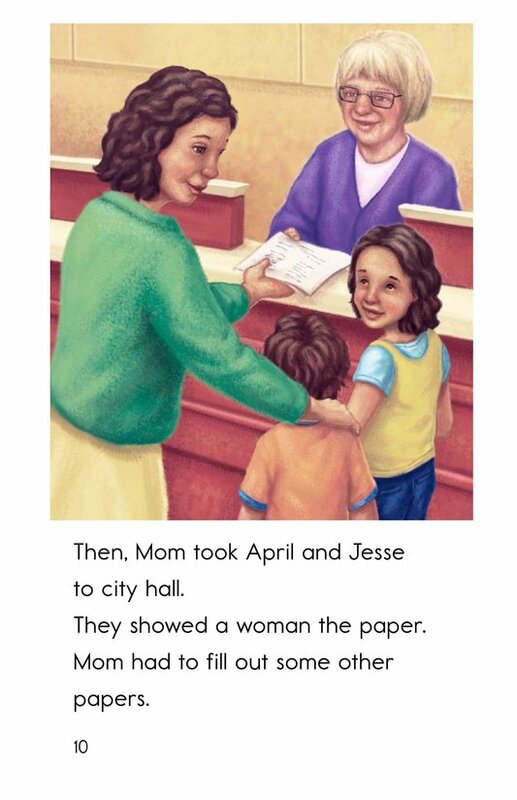 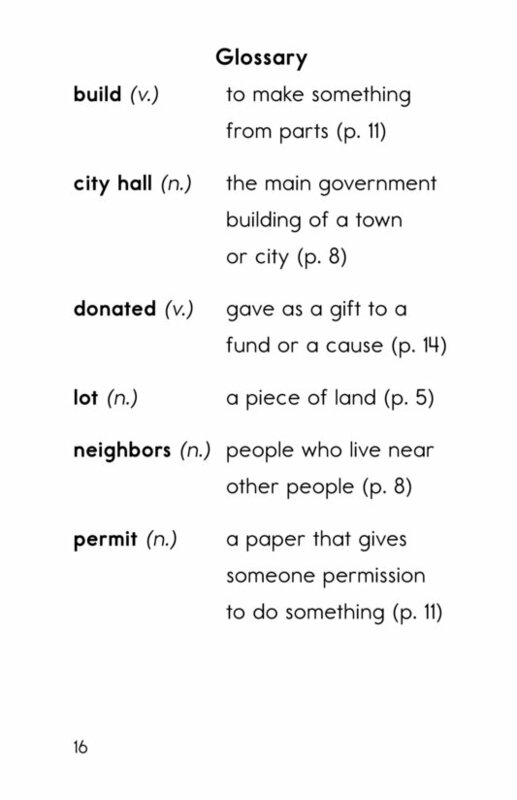 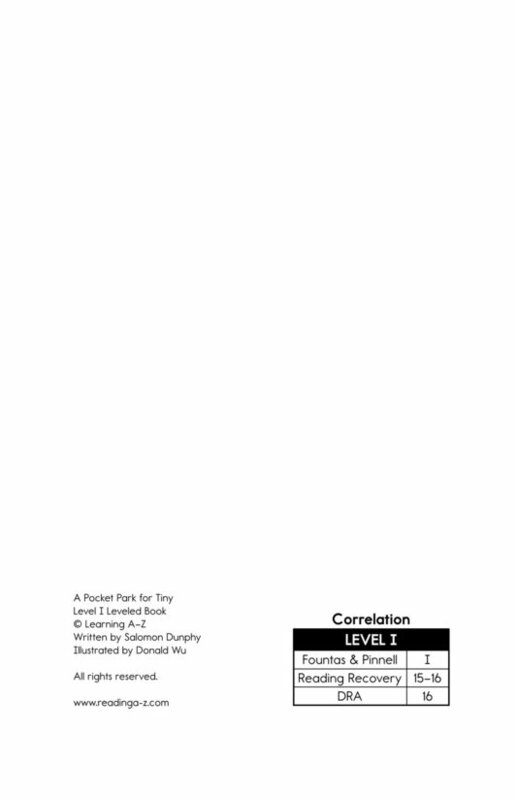 This story presents students with a realistic scenario while allowing them a chance to work on the use of quotation marks and problem and solution.